The tile in our bathroom is officially complete!! 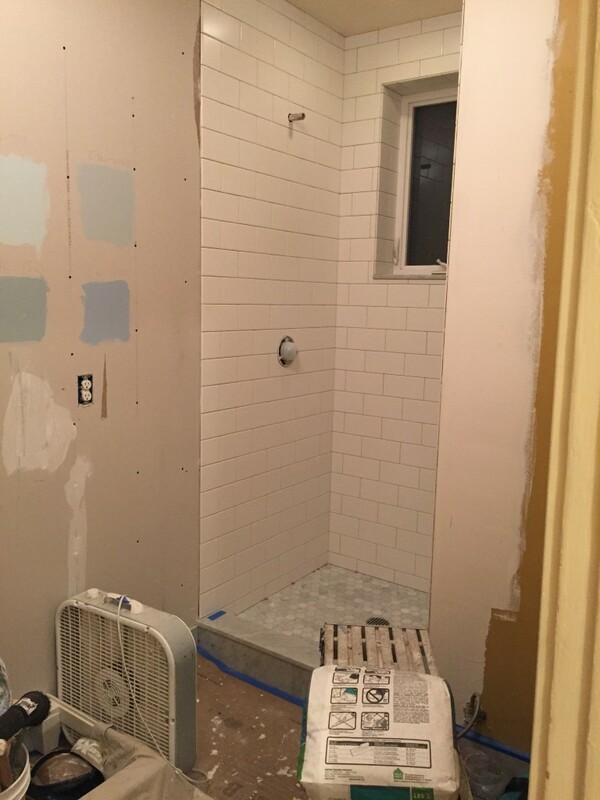 Now all that’s left for the tile is grout and sealing and that’s happening on Monday and Tuesday. Today I took advantage of Pottery Barn’s latest sale and ordered our mirror and picked up some new towels, bath mats and a shower curtain. We’re going for a dark gray towel and a white waffle shower curtain with pretty chrome rings for the curtain rod. We’re planning on finding a fun towel to provide a pop of color in the bathroom, too. 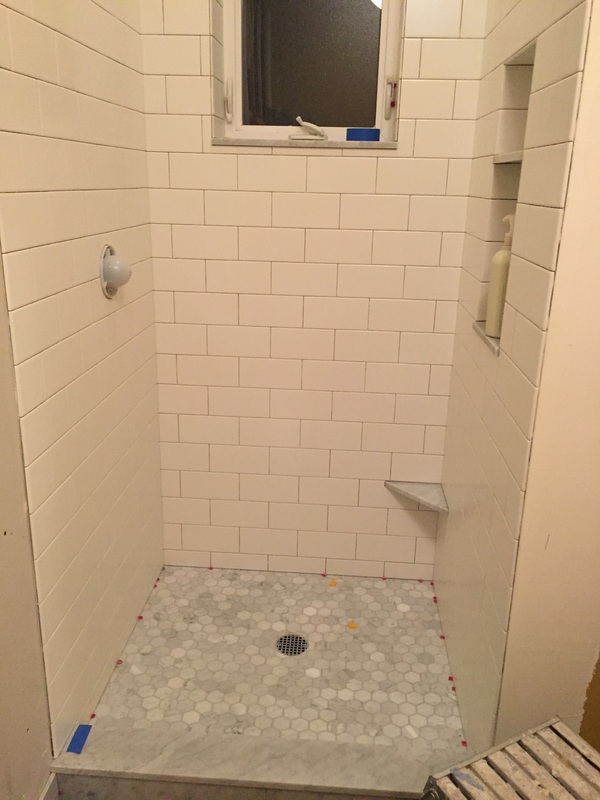 Here’s to the tile part of the project being almost complete! 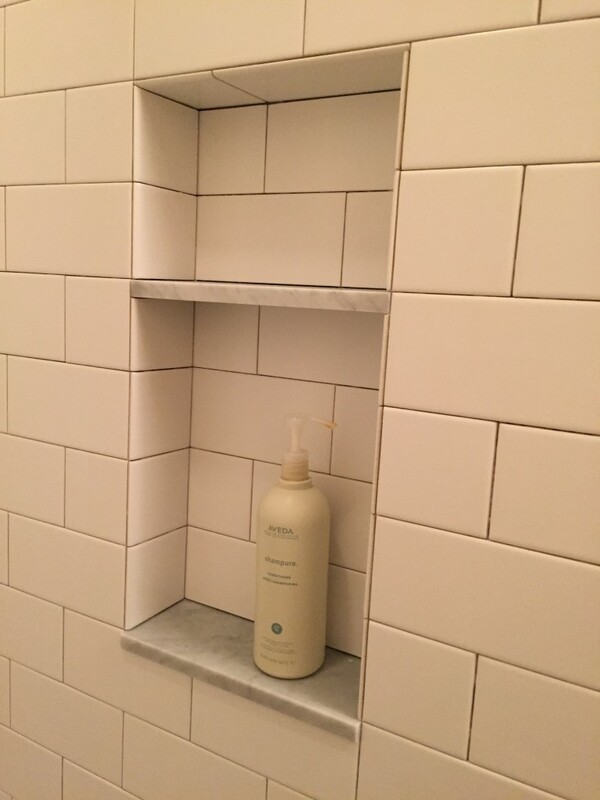 This entry was posted in Life and tagged bathroom renovation on November 7, 2015 by Alison Allen.